Enjoy A 25% Discount On Our Executive PMP/PRINCE2 Project Management Training - Achieve Your Dreams! Develop Your Project Management Skills!! ACHIEVE YOUR DREAMS! DEVELOP YOUR PROJECT MANAGEMENT SKILLS!! 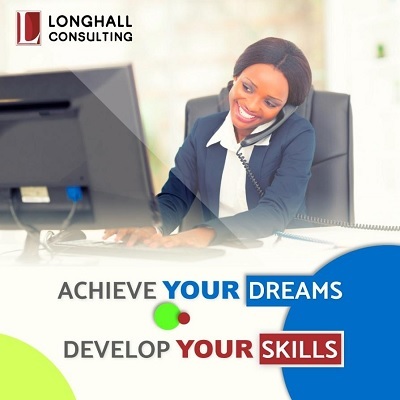 Longhall Consulting is offering a 25% discount on our Executive PMP/PRINCE2 Project Management Training. Individual bonus: You get to pay just N59,999 for the course which is originally N80,000. Group bonus: Group of 3 Participants get to pay N162,000 instead of N240,000. Having PMP or PRINCE2 Certification on your resume is seen as a huge advantage for candidates and recruiters alike, today. Spice up your resume, add immense value, demonstrate proof of your commitment, and set yourself apart from your peers so hiring companies would prefer your resume. Take advantage of this Opportunity!! Hurry and enroll. The first 3 people in Abuja, Lagos and Port Harcourt who register will get to pay just N50,000 instead of N80,000. This offer is available until 23rd of April 2019. Don't miss it. So many people still choose to go with our more ‘traditional’ method of classroom learning in Abuja, Lagos and Port Harcourt. Lead by our passionate and experienced trainers, will take you through the 2 weekend (Saturday and Sunday) sessions of training and you will be glad you came.